All evidence considered, it would seem Melbournians are somewhat fond of coffee. If a millionaire denouncing young Melbournians for buying coffee and smashed avocado was not enough of an indicator, the statistics are even more telling. 30 tonnes of coffee beans are imported daily, sating the whopping 63.3% of the population that visit Melbourne cafés in a three-month period. The city is home to the biggest coffee expo in the Asia-Pacific region and it would seem unlikely if you hadn’t heard Melbourne candidly referred to as the ‘coffee capital’ of the world at least once. The city’s café culture and the birth of a London-based company called bio-bean could bode for an interesting future – a Melbourne potentially powered by coffee waste. 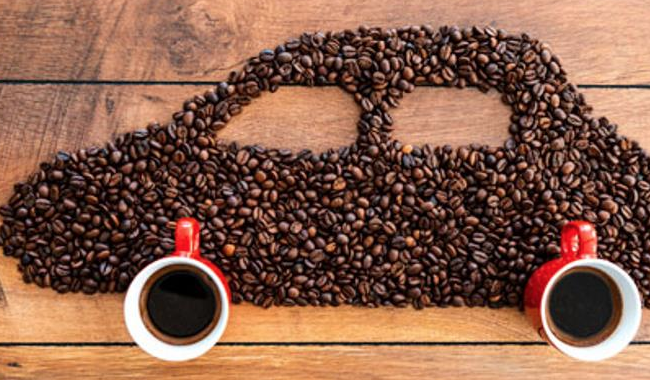 As it stands, bio-bean has successfully patented coffee-based biofuels and biochemicals that are significantly more calorific than wood, and only slightly less so than coal. It does so by compiling the beans wasted by coffee businesses, universities, offices, train stations and factories in the UK (that would otherwise have been sent to anaerobic digesters and help compose toxic landfill) and recycling them in the form of bio-bean Coffee Logs™ and biomass pellets. Coffee Logs™ can be used as a wood or coal substitute for stoves, chimneys and fires, while the pellets can be used for insulation. In conjunction with fuel giants Argent Energy and Shell, bio-bean has plans to power the London transport system, with the companies already having produced enough energy to operate a London bus for a year. The cost-saving and environment-preserving properties of the project indicate a sustainability milestone has been reached. In just one case study, coffee chain Costa Coffee prevented 360 tonnes of greenhouse gas from being sent into the atmosphere by partnering up with bio-bean – ‘the equivalent of planting a forest the size of 95 football pitches’. In another study, London’s NetworkRail recycled over 868,000kg worth of coffee waste in a year – the equivalent of approximately 10 million cups of coffee. This saved the company roughly $61,000 in costs. In our somewhat frivolous attempts to address global warming, there are countless qualified and unqualified proposals for alternative energy sources. Coffee waste now possesses a legitimacy that begs a valid question: if coffee, the second-most traded commodity in the world, can power our homes, transport and keep us warm, is it not worth serious consideration as a universal energy source? Perhaps flat whites are not yet comparable to conventional fossil fuels, though we have a feeling Melbourne would fare pretty well if that were the case.